You should attend the Freshman Family Orientation program that takes place on the first day of your student’s freshman orientation session. If you are unable to attend the Freshman Family Orientation session that runs concurrently with your student's freshman orientation session, click here. 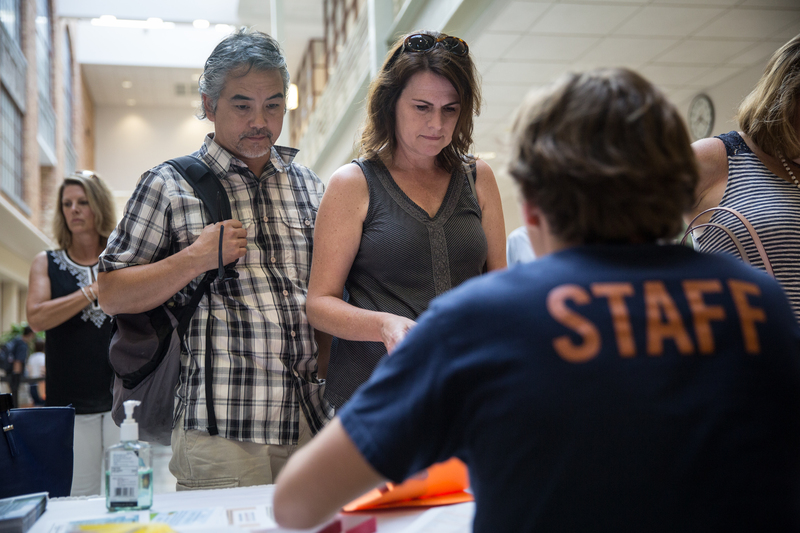 Do not register for Freshman Family Orientation until your student has registered for and been confirmed for his or her freshman orientation session. Your incoming freshman student should not register for or attend Freshman Family Orientation as he or she will be attending a separate freshman orientation concurrently. Freshman Family Orientation and Freshman Student Orientation have separate registration and payment systems. Online registration charges are non-refundable. If you need to change or cancel an existing registration (including adding or removing a registrant, changing your meal preference or changing your session), please reply to your registration confirmation email with your desired change. Parking is not included in the cost of registration and is a separate process facilitated by the Parking and Transportation Services (PTS) office. Click here for orientation parking options. Students must register for Freshman Student Orientation through New Student Services. Your student should register for his or her Freshman Student Orientation session before you register for Freshman Family Orientation.